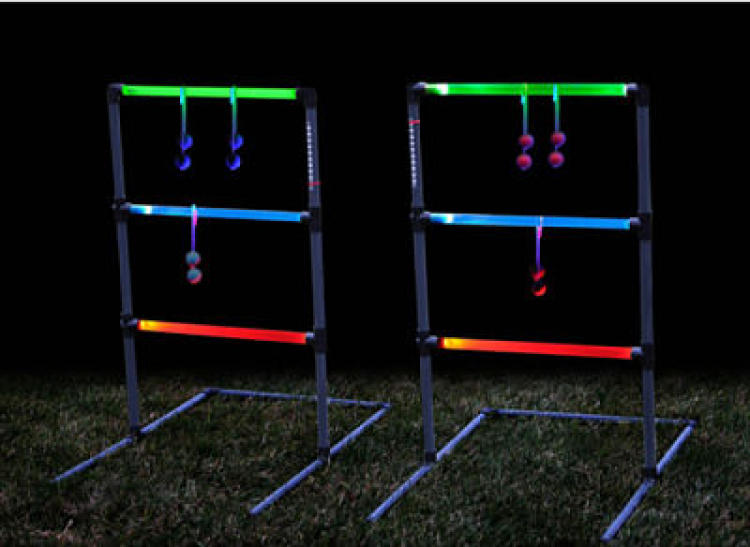 Glowing Ladder Ball Rentals | EpicPartyTeam.com Phoenix AZ. The Glowing Ladder Ball Game is a great fun twist on a classic game. Throw the ball strings and ring the colored posts!